Assorted - Artist - 12pc - OIL PASTELS, When used in conjunction with other media, offer many interesting possibilities for creative activity. Apply directly to paper and then blend by rubbing with a finger or stiff brush. Pastels are ideal for exercises designed to develop colour awareness in ch..
Assorted - Artist - 24pc - OIL PASTELS, When used in conjunction with other media, offer many interesting possibilities for creative activity. Apply directly to paper and then blend by rubbing with a finger or stiff brush. Pastels are ideal for exercises designed to develop colour awareness in ch..
Iridescent - Artist - 12pc - OIL PASTELS, When used in conjunction with other media, offer many interesting possibilities for creative activity. Apply directly to paper and then blend by rubbing with a finger or stiff brush. 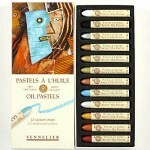 Pastels are ideal for exercises designed to develop colour awareness in ..
Sennelier Oil Stick. Series 1. See the full Colour Chart here This new material allows oil painting to be approached differently. It extends the artist's freedom of expression, allowing a greater degree of spontaneity, of "expressionism". The Oil Stick range includes 55 colours in Series 1 to 3. 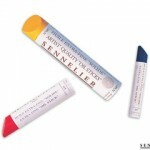 ..
Sennelier Oil Stick. Series 2. See the full Colour Chart here This new material allows oil painting to be approached differently. It extends the artist's freedom of expression, allowing a greater degree of spontaneity, of "expressionism". 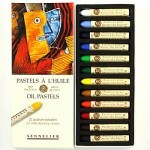 The Oil Stick range includes 55 colours in Ser..
Sennelier Oil Stick. Series 3. See the full Colour Chart here This new material allows oil painting to be approached differently. It extends the artist's freedom of expression, allowing a greater degree of spontaneity, of "expressionism". 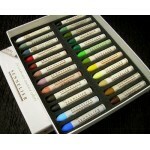 The Oil Stick range includes 55 colours in Ser..